Wuzz Up!, Woke Up!, Dress Up!, Crush Up! (inside the public bus) , Teh-tarik`king as usual, Work Up! (mountain pile of workload on my desk) and 1st thingy I notice inside my (BUAH EPAL) workstation that the Nuffnang Gift Idea Contest have been extended to August 19Th , 2008 . Yippie Kah Yee! That meant I can present more present (virtually speaking until I won actual prize) to other fellow Nuffnanger that I recently poke around ~ HA! HA! HA! HA!~ Enough say! Here the shinning thingy! 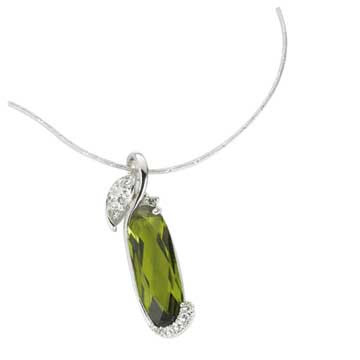 To lovely Jun although I just poke your blog not too long time ago, I present you "THE GRACEFUL OF GREEN NECKLACE" so it will shine, light and surround yourself with flash of aura of x'traordinary graceful self confidence each time you wear it everywhere. PS: To be honest (in Spectre opinion), the "self confidence" power thingy always comes from deep (bury) inside a person will,hopes, dream, desire & etc. to better the future or if possible, achieve it by his 'r' her own way without letting other (^**.) person telling which is right or wrong. Let it be the voice,heart & driving force of your self -confidence onward.